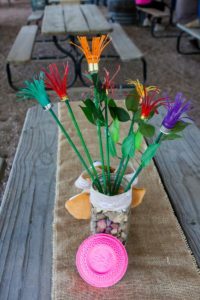 Each spring, Lady Clay Shooters, Inc. proudly hosts our unique annual charity shotgun event. 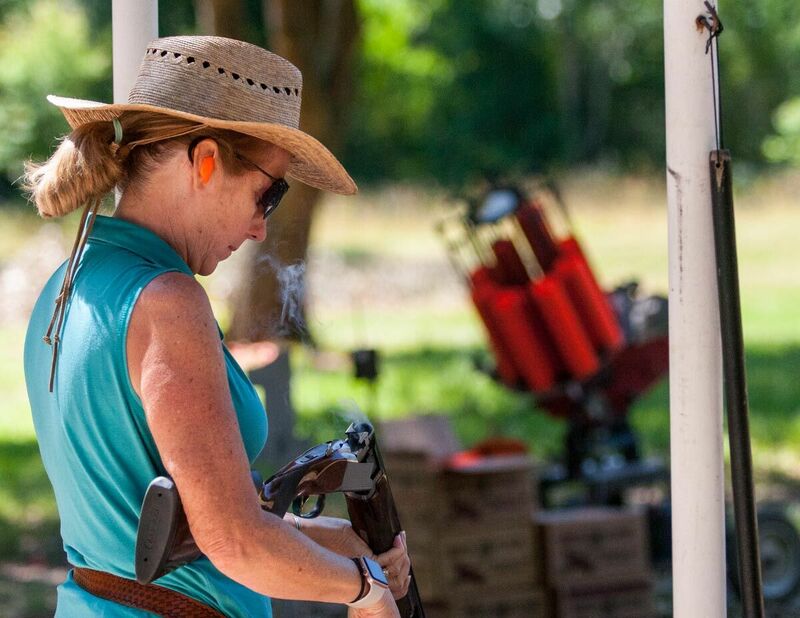 This event is one you will surely want to mark on your calendar because each year we find shooters returning and bringing back new friends to join in on the fun. In the morning, ladies-only squads take to the stands. Here you will find old friends reuniting, while mentoring and welcoming new shooters to the group. It doesn’t take long for the laughter to settle down and the clays to start breaking. After shooting, the women join their guys for lunch, awards and the announcement of raffle item winners. In the afternoon, the ladies take the course again-this time with their male shooting partner. 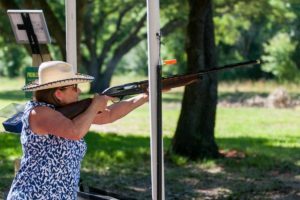 Couples enjoy an unusually designed course where couples work together to break true pairs of clays while competing against other couples. Like earlier in the morning, Lewis Class awards are given out to the winning couples. 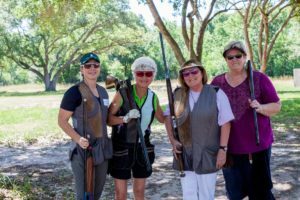 The Lady Clay Shooters made an appearance on KHOU on Great Day Houston to promote our annual charity event that benefits Be An Angel.